Watch the video here. You can also subscribe to my channel on YouTube. Click to subscribe now! Wish you a very happy new year! Hope this year brings some much needed harmony and peace to the world. Progress, growth and everything else can come next. Hope the worst is over and we get a better and safer world to live in. Makes me think, it is now more important than ever to reinforce and instill values, tolerance, broad mindedness and humanity in our children. And of course, live and love each day, count the blessings. As these thoughts rule my mind today, I can't help but think how insignificant the next post or some bad pictures are while there are much bigger victories to be won! 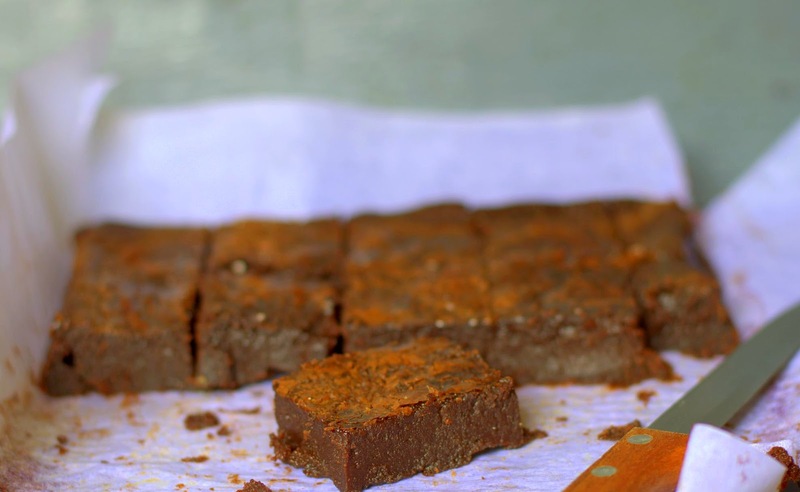 Here are some easy, rich, creamy, moist and extremely chocolaty brownies with a truffle like texture. This is no snack with a glass of milk nor are these for the faint hearted. This is dessert best enjoyed with some coffee or orange whipped cream. 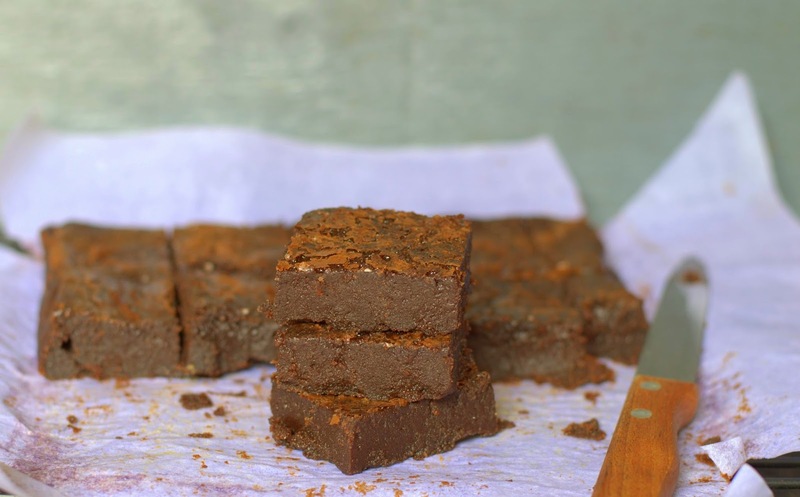 With barely any flour here, these brownies vaguely reminded me of the Chocolate Idiot Cake , only these are even more idiot proof! Just the kind of thing you can throw together at the last minute for a weekend dessert or party. 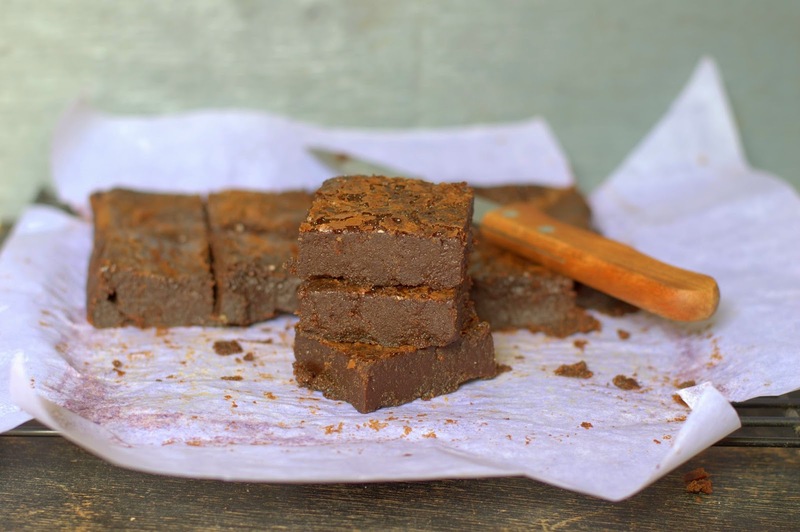 This is the easiest recipe for chocolate brownies a beginner can attempt as there is no risk of scorching or seizing the chocolate. Enough said, why not let these be your first batch? I promise, if you adore chocolate, you won't regret! If you are an absolute beginner, please do drop by here before you begin. Helene's Brownies - Adapted from David Lebovitz. Ingredients : Please weigh all ingredients. 1. Preheat the oven to 180 C / 350ºF . Mise en place. 3. Take the chocolate, water, coffee and butter in a heavy medium-sized saucepan. Put it on low heat (on your gas stove is fine), stir constantly till the chocolate is melted and smooth. 4. Remove from heat and gently whisk in the sugar. Then the vanilla, almond flour and the flour. 5. Whisk in the eggs in 4 additions, making sure the egg is well combined each time. Remember you want to be gentle here, whisk just enough to combine. There is no need to work up a volume. The batter will be quite thin, almost pourable. 6 . Scrape the batter into the prepared pan and bake for 18 - 20 minutes, until the center feels just about set. (this was at 20 minutes for me) . You won't see any wet batter on top and a toothpick inserted in the center must come out with a few moist crumbs attached to it. Let the pan remain in the oven as your check for doneness. Bake a minute or two more if the center looks wet. The baking time depends on the pan size and your oven too. Err on the side of underbaked a little if you want a creamy center. 5. Let cool completely, lift the brownies out of the tin (parchment and all) and cut into squares. Serve as is at room temperature or with a dollop of whipped cream. I liked these best the day I baked them. They turn more fudgy the next day, more like biting into a creamy bar of rich, buttery chocolate. Baking time : This probably will be the only slight glitch if you are a beginner. As mentioned above, err on the side of under baking (by two minutes at the most), it may be gooey, but still good! Do note down the baking time so that you can adjust by a minute or two next time. David's note on Storage: The brownies can be frozen for up to two months, if well wrapped. Because they are quite moist, they’re somewhat fragile so pack them carefully if you freeze them. If frozen, I would prefer to simply bring them to room temperature rather than heating them in the microwave. I have not added nuts or chocolate chips as I wanted the texture smooth. Do add some if you wish. Please do not go by the color you see in the pictures here, I am just plain terrible at taking pictures of anything chocolate. If you do try these, please take a moment to tell me how you liked them!